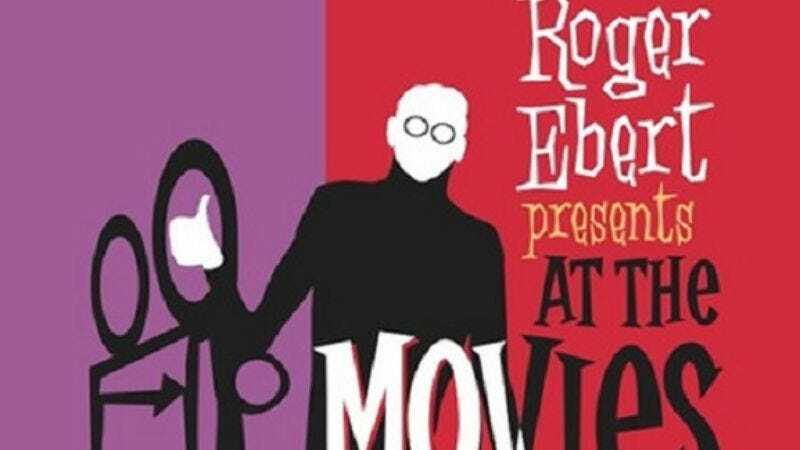 Roger Ebert Presents At The Movies debuts throughout the weekend in most U.S. markets on various PBS stations. Check local listings. Siskel & Ebert At The Movies was so influential to my development as a critic (pretty much making me aware the job even existed) that I was going to be warmly disposed toward Roger Ebert Presents At The Movies, Roger Ebert’s attempt to restore something like a serious movie criticism show to the nation’s airwaves, even if it was just a couple of squirrels chittering over movie clips, then racing off to store nuts in Ebert’s office. Instead, Ebert’s assembled a bunch of really interesting talent, come up with some ideas to make the show more of a “newsmagazine about movies” (to steal a phrase from footage of Gene Siskel that played over the closing credits), and roped in Werner Herzog for a guest spot. What’s here isn’t all there, just yet. There are some pretty cheesy ideas that don’t necessarily work, and the two hosts will need to grow into whatever chemistry they have, but the show IS a lot of fun. And that’s enough for now. Is there anybody out there who needs me to explain the format of At The Movies? Probably not, but I will anyway, because that’s what they pay me for. Two critics—in this case The Associated Press’ Christy Lemire and mubi.com’s Ignatiy Vishnevetsky (the most fun to say name in all of television)—briefly describe the plots of assorted new release movies over footage of those movies. Then, they discuss their opinions. In the ideal version of the show, they disagree on every movie and disagree vociferously, so we get some big arguments (as in the glory days of Siskel & Ebert), but the show can also feature the two piling on a movie so bad that their agreement becomes an almost comic attempt to top each other or praising a movie so good that it makes viewers want to run to the theater immediately. That’s the basis of every show like this, and it’s the basis of this one. Where the new At The Movies will distinguish itself, I hope, is in the numerous smaller segments that come between the critical arguments. Tonight, we got a short visit to the Ebert offices and an introduction to the new “cast,” critic Kim Morgan’s thoughts on The Third Man (which found its zither music scoring much of the half-hour), and Ebert—as narrated by Herzog—sharing his thoughts on animated film My Dog Tulip, which appears to be the most charming film in the history of the cinema. Of the three segments, the Ebert bit was the best. Even when “played” by Herzog, his passion for film comes through, and it’s obvious just how much he loves Tulip. Plus playing the role of the esteemed film curator who only really calls your attention to films he loves in all capital letters is a role Ebert has seemed more and more comfortable with in recent years, and it often seems he’d be much happier doing this than arguing about The Green Hornet, even if he were still the show’s primary on-camera talent. The Morgan segment was also fun, though it will be interesting to watch her veer off the course of the classic films every cinephile knows of and toward more obscure choices (something that’s always been a strength of her critical voice). Of the three, only the introduction to the staff didn’t work, as it was slightly too cheesy. At the same time, everybody involved is clearly so thrilled to just have this show on the air and Ebert’s assembled so much intriguing talent that I can’t begrudge the show its little moment of self-adulation. Then the question becomes just how Lemire and Vishnevetsky are and how they work together. Perhaps unfortunately, this first episode featured a long string of films that Lemire seemed to either slightly dislike or absolutely hate, films that were then either slightly recommended or highly praised by Vishnevetsky. In the segment where the critics shared their “thumb” ratings for films currently in theaters, Vishnevetsky even gave the thumbs up to Season Of The Witch! Now, naturally, the “thumb” system doesn’t allow for nuance. There’s no so-so rating, something that has probably kept the system so vital and famous over the years (the three-tiered system the old At The Movies came up with in its last two incarnations never really worked). So this means that Vishnevetsky can kinda-sorta enjoy something like No Strings Attached but be forced to give it a thumbs up, while Lemire can kinda-sorta dislike it and end up giving it a thumbs down. The discussion, of course, allows the two to be more nuanced, but the opening episode inadvertently gave the impression that Lemire hates everything, while Vishnevetsky loves everything. This was something the hosts joked about, and the list of movies the two had to review was unavoidable, but it doesn’t give the best sense of where either critic is coming from. Hopefully, that sense will deepen in the weeks to come. Lemire’s been attached to the show from the first, and she’s an easy-going presence on camera, clearly at ease with the process, even if this is her first full-time hosting gig on a TV show. Vishnevetsky was famously plucked from obscurity (though reading his writing at mubi.com should show just about anybody what Ebert saw in him) and is, thus, slightly less at ease on camera. At the same time, though, he’s obviously learning quickly, and his slight awkwardness dissipated as the half-hour went on. He sounded stilted while describing the plot of the first movie he had to talk about, The Company Men, but by the end of the episode, when he was explaining just what he found enjoyable about The Way Back, he’d already settled in somewhat. Lemire and Vishnevetsky are clearly feeling each other out as much as the audience is feeling them out, but a moment when the two joked over Colin Farrell’s Russian pronunciation made it feel as though the two will eventually find a chemistry that works for them, even if it’s not the famously combative chemistry of the show’s first two hosts. And if the show does turn into the “Christy Lemire hates everything, and Ignatiy Vishnevetsky even loves batshit insane Nicolas Cage movies” half-hour, who cares? (And, for what it’s worth, Vishnevetsky very succinctly and adroitly explained just why he didn’t like Rabbit Hole while explaining why he DID like Company Men, so it’s not as though he’s incapable of dislike.) I like nuance as much as anybody else, but when it comes right down to it, I’m much more into epic hyperbole than “meh” (as if you couldn’t tell). If this turns into a show where one critic loves everything and the other hates everything (as unlikely as that might be), well, I’d rather watch that than something where everything is greeted with outright apathy. Discussion shows like this thrive on strong emotions, and while Ebert Presents At The Movies has some growing pains out of the gate, the strong emotions are there all the same. It’s a good sign.